Part of Dawn Mountain's Dzogchen Cycles program. 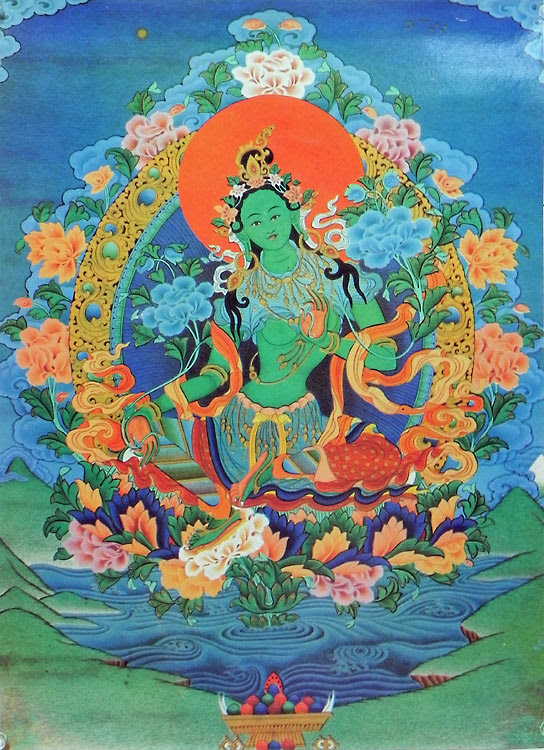 The essence of Tārā practice is uniting with Tārā. Since she is not other than our own real mind, this is a very natural process. The opening words of the practice speak of trust and fear. Tārā promises to protect us from fear, and invites us to trust her. She does so with a tenderness that itself helps trust to emerge. The entire practice invites us to awaken deep trust in ourselves, in our being. This in turn opens us more to Tārā’s tender love. Trust and tenderness together are a powerful and gentle path to sheer being, our deepest home. The form of this practice is simple, we can learn it easily. What the form holds for each person varies. So we take time in this retreat to unite the form with our own actual experience, on and off the cushion. We move slowly, deeply, and gently. Apply now to join the program. Enrolled students and those who have been approved, please continue to complete your registration below. DM Members eligible to receive 20% discount - enter coupon code MEMBER20 during registration to receive your discount. Enrolled Cycles Students - the fee is included in your tuition payment. Please select "enrolled cycles student" option for your registration. *Dawn Mountain charges for most retreats and programs on a sliding scale, recognizing the wide variation in individuals' fiscal capabilities. Those with greater ability are encouraged to contribute at the higher levels, helping to support and extend Dawn Moutain's teachings. As always, no one will be turned away due to lack of funds. Call Jerri at 713-630-0354 to discuss your situation.